FRIEND AND CO.: WHAT PRINTS & BAGS AVAILABLE ONLINE NOW! 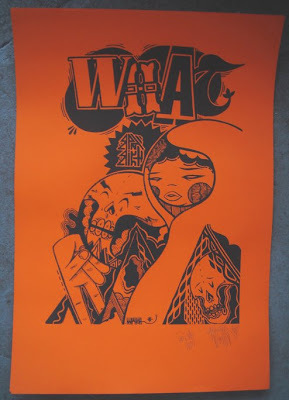 The WHAT print by 45RPM and RICHT is now available at our online shop, very limited, 10 on off white paper and 10 on orange paper... Signed, numbered and stamped...and it's just £40! Hit the title above to go straight to where to buy! 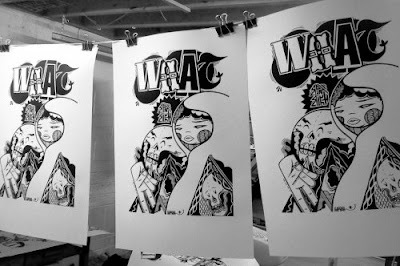 We've also done a very limited amount of bags featuring the print artwork... also available at our online shop!